My Baby Has A Hemangioma, Now What? You inspected every inch of your baby at birth, so you are quite alarmed to notice a bright red nodule suddenly appear on his or her skin several weeks later. Only a physician can confirm, but your baby may have a hemangioma. A hemangioma is a birthmark, known as a strawberry mark, which typically appears as a rubbery, bright red nodule of extra blood vessels in the skin. Hemangiomas grow during the first year of life, and then recede or fade over time. By the age of 10, most children have no visible trace of the mark. If this type of birthmark goes away by the time a child is finishing elementary school, why would it ever be necessary to have it removed or treated? Beyond the unwanted aesthetics of a hemangioma, they can grow so aggressively in that first year that they become a physical or functional impairment. This depends on the location of the birthmark of course. Some hemangiomas left on the eye, can affect the cornea and consequently restrict your child’s vision. In other cases, hemangiomas on the neck can grow so much that they interfere with your child’s ability to breathe. Lastly, if your child has a large hemangioma on the face or other highly visible area of the body, they may still suffer ridicule by peers in the very early years of school. Social consequences can be difficult to overcome for a small child who is learning how to make friends and interact in peer settings. If you elected not to treat your child’s hemangioma and it went away as expected, you may find that there is residual discoloration or extra skin where the birthmark once was. At this point, you can also visit an experienced plastic surgeon for treatment. Always contact your child’s doctor if the hemangioma bleeds, forms a sore or appears infected. Dr. Talei of Beverly Hills Center offers a unique skill-set and expertise like hemangioma treatments. 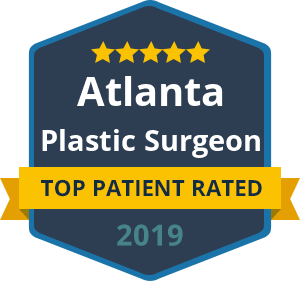 He has dual fellowship training in Facial Cosmetic and Reconstructive Surgery, Vascular Birthmarks and Congenital Anomalies with Laser Surgery.